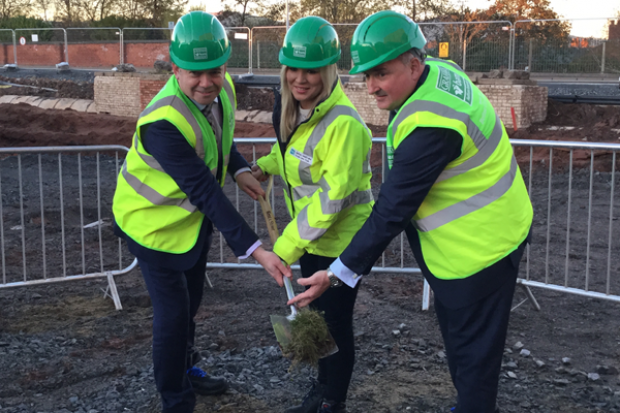 Health Minister Michelle O’Neill, MLA, has cut the first sod for a new purpose built acute mental health inpatient unit at Belfast City Hospital today. This facility will provide inpatient services for acutely mentally ill adults within the Belfast area. It is expected to be completed in late 2018 and will cost £30million. This new facility will have 74 Acute Mental Health beds and 6 Psychiatric Intensive Care beds. Minister O’Neill said: “This is the third new build acute mental health facility in the programme of reform of mental health services envisaged by the Bamford review. The Minister added: “I have consistently said that mental health is one of my key priorities and I fully recognise the impact this has on individuals, families and the wider community.